Our 6-day Cultural Cuba trip features the highlights of Havana, Cuba's historic capital city and an incredible day-trip to Viñales Valley. Cuban Cultural Trips' experienced travel coordinators will assist you throughout the registration and preparation process. For the duration of the trip, you will be accompanied by a professional Cuban guide and a US-based tour leader. We provide comfortable private transportation, lodging in a Cuban-Style B&B, daily ground transportation, meals at the top private restaurants in Cuba and many more meaningful interactions. Experience the real Cuba with Cuban Cultural Trips. 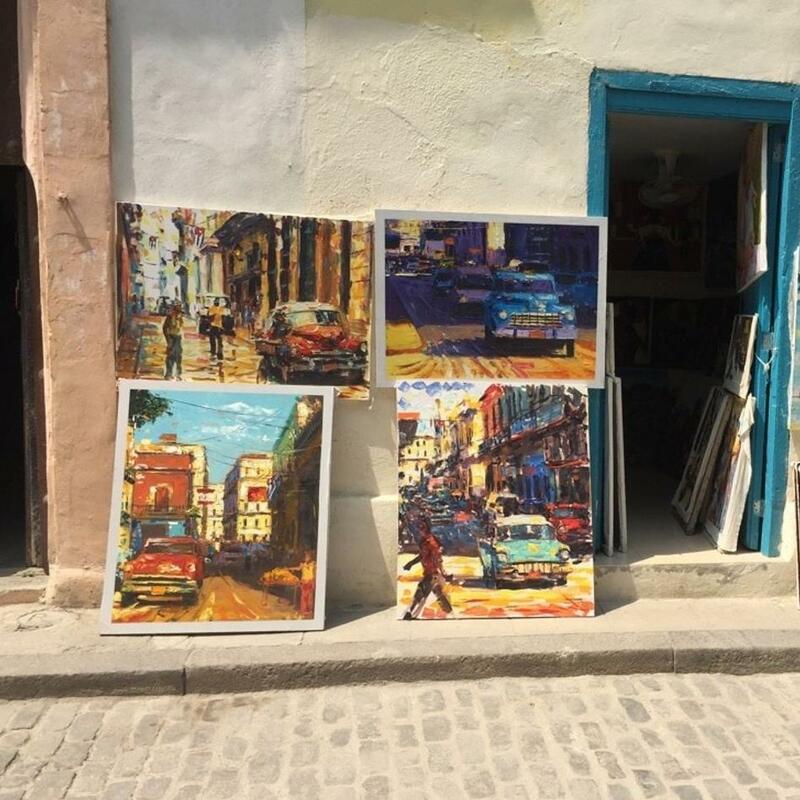 Why Choose Cuban Cultural Trips? The Cuban Cultural Trips team has over 15 years of experience facilitating complex travel arrangements around the world. We know travel and more importantly, we know and LOVE CUBA. By choosing to travel with Cuban Cultural Trips, you are supporting local communities throughout the island. We work with a variety of Cuban entrepreneurs and small businesses in an effort to support the growing Cuban private sector. This trip will be conducted under the "People-to-People", general license for travel to Cuba. Your travel will consist of a full-time schedule of activities that will result in meaningful interactions between the travelers and individuals in Cuba with the goal of supporting and empowering Cuban civil society. Travelers subject to US Jurisdiction are responsible for complying with US Treasury Department guidelines and will complete an affidavit stating their purpose of travel to Cuba. Traveling to Cuba requires that you adjust all expectations throughout the trip. The Cuban people are incredibly warm, generous and excited to welcome visitors from abroad with open hearts. However, some of the facilities and infrastructure are not to the same standard that you may be accustomed to in the US and other destinations. Traveling with an open mind will help you to enjoy your trip and to have a better understanding of the effects of decades of isolation as a result of political and economic policies of the US and Cuban Governments. Why do we call this trip a pilgrimage? When we travel together from Kirkridge we are about the journey, not the destination. Together, we practice how to focus our eyes and hearts in an unknown place and come to know it in ways that unite us as global citizens. To be a pilgrim is to be open to walking in the footsteps of others on strange land and though the path unclear, find home. Like life, sometimes plans change on a pilgrimage and savoring the moment might become the most important lesson. On pilgrimage we train our ears to listen to stories spoken in a foreign tongue discovering the common threads of our humanity. To be on a pilgrimage, like life, is to go on a journey knowing that as we listen to the sacred in one another we once again will be reminded of the sacred in ourselves.